Did Raga Diss Muhfaad In His New Track "Mudda"? 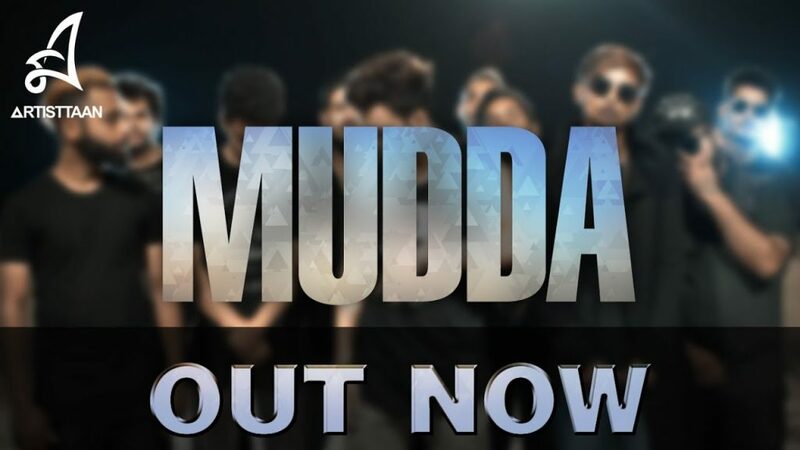 Did Raga Diss Muhfaad In His New Track “Mudda”? Exclusive Interview - Neeru Pal Gets Nostalgic About Family And Past In "Tamancha"
Raga and Yawar dropped some fire on their much-awaited track called “Mudda”. As a matter of fact, “Mudda” is released via Artistaan’s official YouTube channel. “Artistaan” artists are keeping the hype up by dropping back to back banger tracks under their independent label. Moreover, after “Hip-Hop Mera Shauk”, “Parental Advisory”, and “Baksh”, their fans wanted Raga and Yawar to be on a track together. Both of them teamed up for “Mudda” to present some real hip-hop vibes for their fans. In addition, Yawar did the music for “Mudda” which is inspired by “All Days Kanye”. As usual, Ashar has shot the visuals for the track. However, the interesting thing about the track was that Raga dissed his old friend who once was a colleague and worked with him under Artistaan. Yes, you guessed it right! I’m talking about Gaurav Pal who goes by the moniker of Muhfaad. In fact, we all know that there is a beef going on between these two artists since a long time. Moreover, by dropping “Mudda”, Raga cleared all the things related to him and Muhfaad. There is a line said by Raga in his verse that says, “Ye baat Muhfaad nahi asli Gaurav ko, Beef yahin khatm agar smjha tu”/Muje dikat tujse hai, teri kala se nahi”. Fans are awaiting Muhfaad’s reaction on this! On the other hand, Yawar dropped his solo track “Taaze Bars” as well. You can consider Yawar as an experimental artist when it comes to his style, it’s really hard to predict his sound. As a matter of fact, “Taaze Bars” was a auto-tune driven trap/chill-hop track with easily understandable bars. Yawar produced, wrote, performed and mixed-mastered the whole track all by himself. In fact, Amplifier-fame Imran Khan also shared Yawar’s track on IK Records Facebook page with praises. Drop your comments and feedback about the track “Mudda”. Also, comment whether Muhfaad should give a reaction to what Raga said in his track? Khatarnaak Hip Hop Collective Go Off On Latest Release “Rollin”!